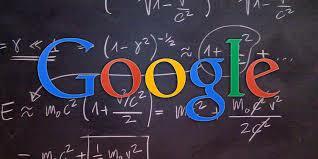 When you make a search on Google, they run all indexed sites through a series of algorithms designed to check each one against a list of ranking factors. There’s more than 200 ranking factors in total, so these algorithms make it easier to filter out the best quality sites, most relevant to your query. Since it’s inception, Google has introduced many new algorithms, and tweaked old ones, in order to provide more focused and relevant search results. You’ve probably already heard about this one, as it caused a massive stir in the SEO (and web design) world when it was announced. You may have heard the name “Mobilegeddon” being thrown around a lot, as many SEO folks felt that this would cause the downfall of many businesses. As the name suggests, this algorithm was introduced in order to assess the “mobile-friendliness” of all indexed websites. Now that more than half of all searches online are made on a mobile device, Google wanted to ensure that they were providing content that was accessible to the majority of their users. As we said above, more and more users are taking to mobile devices to do their internet browsing. This is not a new thing of course, and most of the internet caught on to this way before Google made it compulsory to tailor your website to mobile users. Because of this, your website might already be mobile-friendly without you realising. Most themes that come with WordPress (other CMS’s are available) now have mobile responsiveness, and web design agencies have been implementing responsive websites for years. If you want to check on your website though, you can use the Google Mobile-Friendly Test.